01. Can I cancel or change my Scanpan order? Unfortunately, once your Scanpan order is paid for and is processing, it is final. Our warehouse processes large numbers of orders every day and once your order is in the process of picking and packing, we unfortunately cannot make changes to the order. In case an order is delivered that you don't want anymore, the best option is to refuse it when delivered. Our delivery partners will automatically return the parcel to us. Upon receiving the parcel and verifying the condition of the product, we will refund your money. Should you wish to return a product, it is best to contact Customer Service to advise us of the fact that you have refused the delivery, this will help to reduce delays in refunding or exchanging your order. 02. I placed an order and did not receive any order confirmation. What happened? Our payment service provider had a delay in processing payments. In that case your payment order confirmation may still be sent once your payment has been processed and confirmed. You did not enter your e-mail address correctly. In this case your order will still be processed as usual, but you will not receive any e-mail notifications such as order confirmation or shipping confirmation. Please contact Customer Service to verify your e-mail address is correct. The e-mail was accidentally caught in your Spam folder, 'Promotional', 'Junk' or 'Unwanted e-mail' folders. Please look in these folders to see if you can find the mail there. Your Internet Service Provider (ISP) may be experiencing a problem with e-mail delivery and the mail may be delayed or lost. 03. I don't have a promotion code. Where can I get one? Promotional codes (coupons) are only created for special offers or marketing campaigns and are not always available. In most cases, promotions will be announced directly to our customers by e-mail, the website, adverts or social media. If you want to receive information about our competitions and promotions, be sure to subscribe to our newsletter, or like us on Facebook and Instagram. Please note that we reserve the right to cancel promotional codes at any time. 04. How do I use my promotion code? 05. I have a promotion code, but it doesn't work. What should I do now? Has the promotion reached its end-date? Is the promotion valid for Scanpan South Africa? Does the order meet the minimum order value for the promotion? If the promotion is for specific products only, did you add them to your order? In case the promotional code is personal or limited in use: have you already used this promotion code? Please note that promotional codes or vouchers may not be used in conjection with any other promotion. i.e. if the order or product qualifies for any promotion, you may not apply any other promotion or voucher to the purchase for further dicount or special offers. 06. I have forgotten to use my promotion code, what can I do? 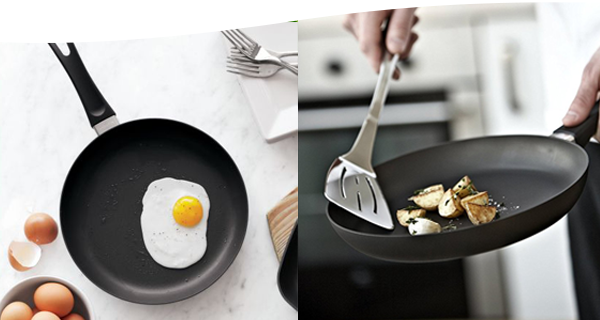 Unfortunately, Scanpan South Africa promotion codes can only be used at the time of purchase. Once your order is paid for and in process, it is final and we cannot change it. Remember to keep the code for your next order, if it is still valid at the time. 07. Does the Scanpan South Africa web shop also sell to businesses? The web shop on www.scanpan.co.za only sells to end consumers. If you need to order from this store on behalf of a company or other organisation, you may do so, but please note that your order will be treated as an end-consumer order. That means that our prices are VAT inclusive and there is no opportunity to negotiate a trade discount, credit payment terms or other aspects of the order. You will receive an electronic invoice with the VAT amount specified. We cannot provide you with a printed invoice or an invoice with requested extra information, such as your purchase order number. For business-to-business Scanpan sales, if you need 5 similar products or more, we recommend you contact us for more information on Trade Sales.